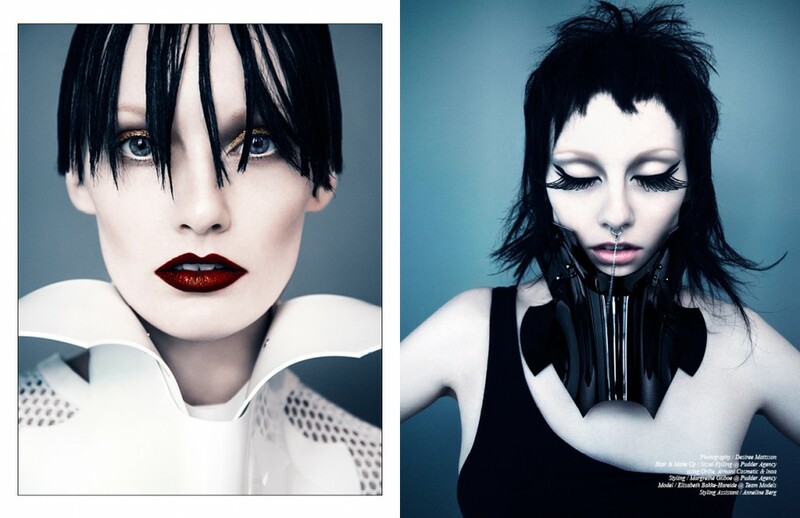 Desiree Mattsson captures reconstructed beauty in this Schön! online editorial. With hair and make up by Sissel Fylling and styling by Margrethe Gilboe, model Elisabeth Bakke-Hareide dons a dark and demonic persona and Patrick Ian Hartley PVC pieces, taking gothic glamour to devious levels of sultry.